I am amused now when I think about the things that we as kids were told to make us go to sleep; or stories we told to scare each other because that was just what kids did. It was not amusing then, that much I can say; and if the intention was to make us go to sleep, I can attest to the fact that the result was totally the contrary. How many kids of the present day have heard of the ikî and the tiyanak? The two just do not go with the modern ambience; but in the era from where I come, these two were certifiable blockbusters in the fright department. Then, the nights were darker and quieter; and the things that inexplicably squeaked or creaked at night seemed so much louder. Perhaps, it was just a cricket; but try explaining that to a kid with a lively imagination. The most vulnerable, it was said, were pregnant women and children. It was said that the ikî would surreptitiously land on the roof of its victim, find a hole in the roof and send its long tongue snaking down to where the victim laid fast asleep. The ikî was terrifying! It was this folkloric half-man half-bat creature not unlike those seen in the Van Helsing movie or the Underworld series. It was allegedly named after the squeaking sound that it made as it flew in the dark of the night searching for its victims. The most vulnerable, it was said, were pregnant women and children. It was said that the ikî would surreptitiously land on the roof of its victim, find a hole in the roof and send its long tongue snaking down to where the victim laid fast asleep. The tongue could dig its way inside the victim’s body to extract the internal organs for the ikî to feast upon. Must have been some tongue, that much I can say now; but as I kid I would try to stay awake as much as I could and would even watch the ceiling in the dark for any mysterious shadowy figures that might suddenly descend from it. Needless to say, I usually fell asleep from sheer exhaustion, anyway; and felt not just a tad foolish the next morning about having watched the ceiling for so long the previous night. As things would be, Dad had the utter lack of consideration to plant a couple of guava trees in the yard behind my bedroom. 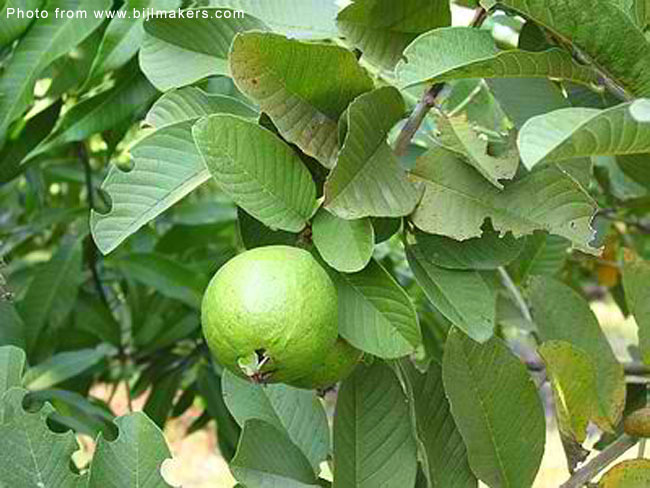 As happens in nature, the guava tree soon grew and bore fruits – plenty of them! When they did, the fruit bats came at night to feast, all the while making these squeaking noises the way that bats do. I knew they were bats, but still... How could I tell in the dark? Then there was the tiyanak. Everyone was told that if one came upon a crying baby in the dark of the night, that one should resist the urge to pick it up and instead make a run for it while one still could. If one had the utter lack of sense and actually picked the baby up, then one had hell to pay for doing so because the pitiable baby could suddenly turn into this devilish little monster with sharp teeth and claws. This was the tiyanak; and it was said that these were ghosts of those who died in infancy or those who were aborted and never even had the chance to see the light of day. There were also those who said that they were elementals; and while they were said to be repulsively ugly, they in fact were quite happy to scare people with their ugly faces. That was comforting! At least, one did not have to worry about losing one’s liver. Of course, in the neighbourhood – as everywhere else – there were stray cats who just loved to do their mating calls in the deep of the night. 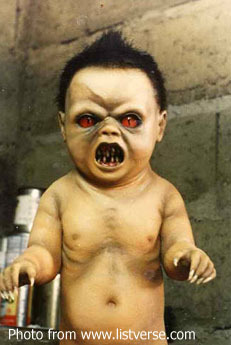 What is it about some cats that when they call to prospective suitors, they sound exactly like... crying babies! These days, in the same house and in the same neighbourhood, the highway is well-lit; container trucks rumble along on through the night; and there can still be people outside long past what used to be considered bedtime. If I were a kid told stories about the ikî and the tiyanak, I would probably say nah and laugh these off. The atmosphere is just not right to make these believable anymore.